So why would you want to go there? 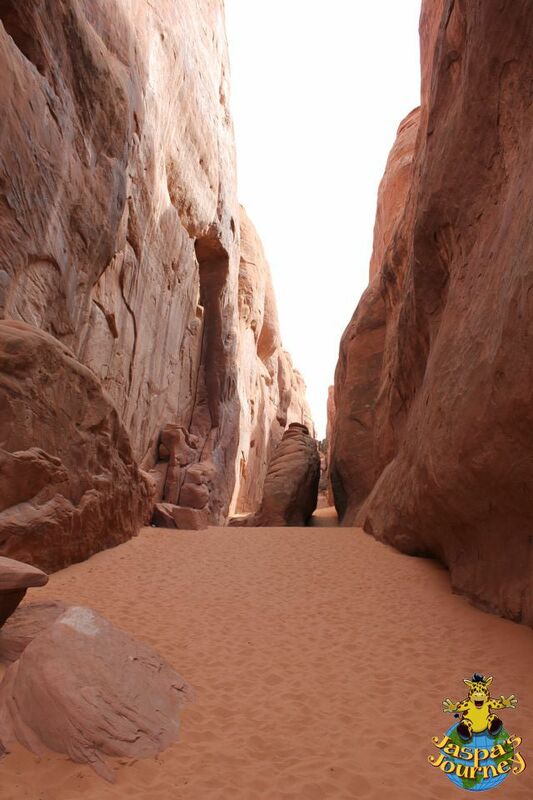 Because the landscapes and natural rock sculptures are simply breathtaking, that’s why! 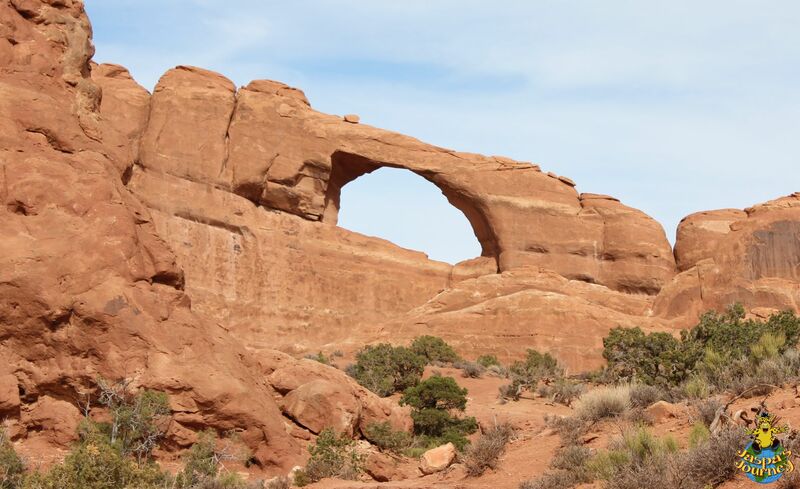 With over 2000 natural rock arches within its boundaries, the densest collection in the world, it doesn’t take a genius to work out how Arches National Park got its name. 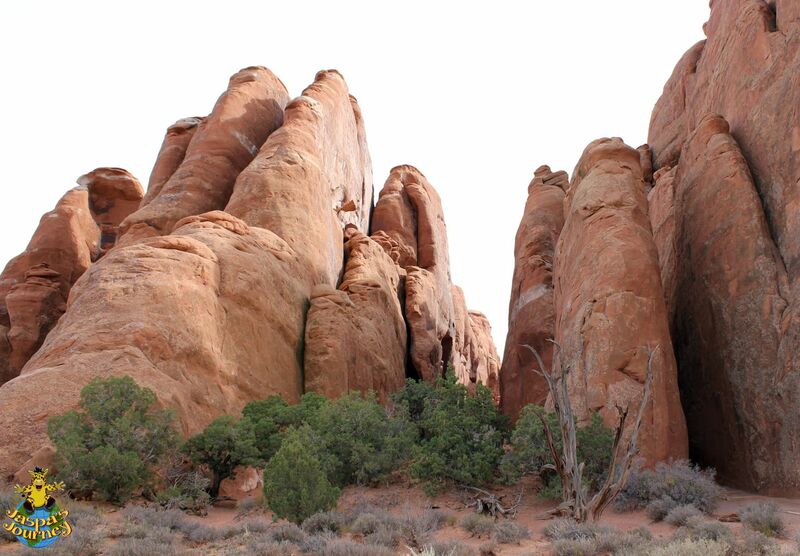 But it’s also home to hundreds of rock pinnacles, fins and balanced rocks. 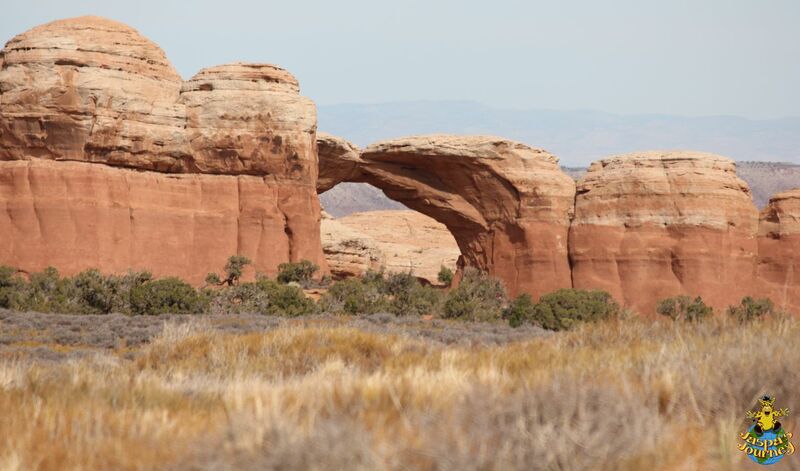 The sheer number of arches and associated features is thanks to the perfect combination of geology and climate… Just the right rock types and layering. Just the right amount of rain. Just the right annual temperature variation. And a lengthy period of geological stability in the region. You and I are also around at just the right moment in the Earth’s history! 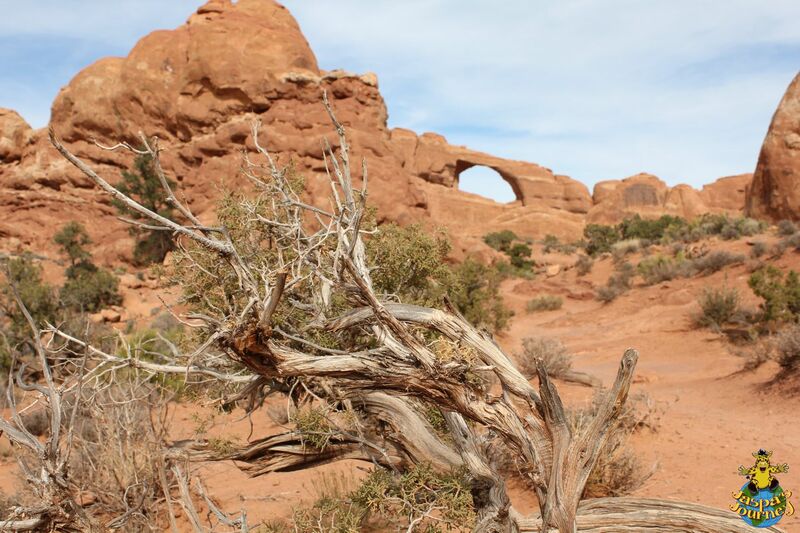 Geologically speaking, the landscape of Arches National Park is a fleeting one. A million years ago it was a rather dull, flat plain. 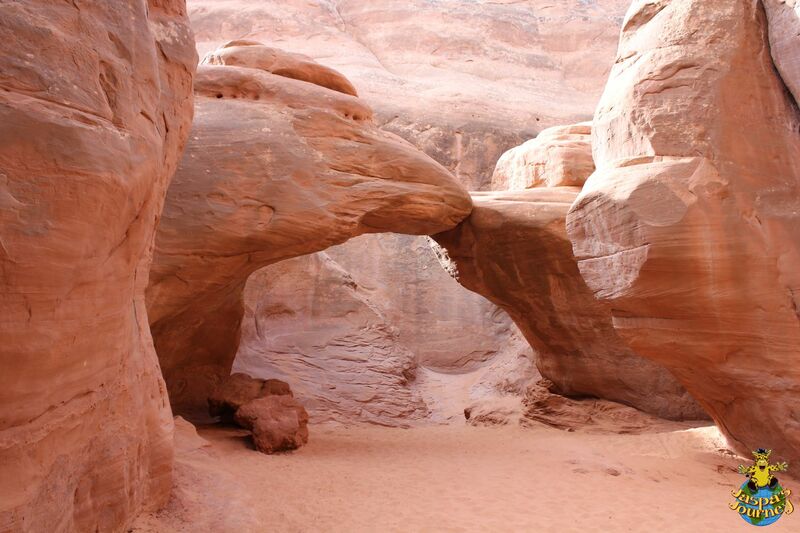 A million years into the future the rock strata that produce so many arches will have completely eroded away. 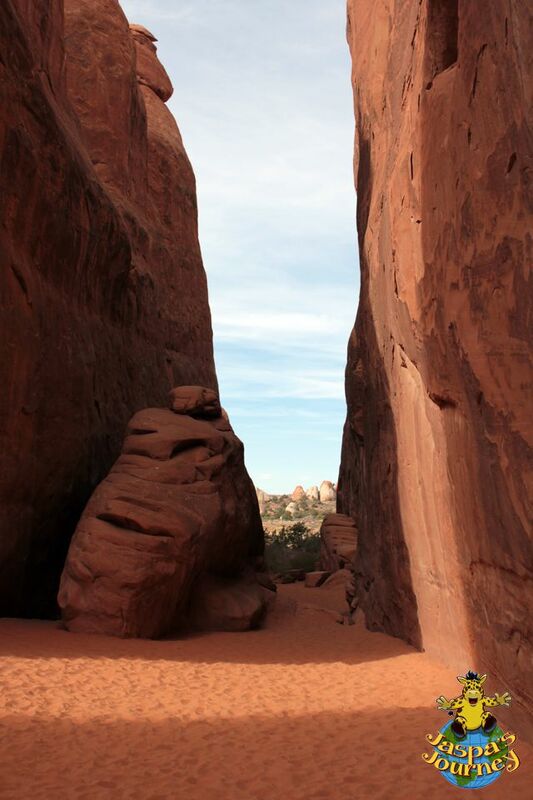 So all of us who have visited Arches can count ourselves extremely lucky! 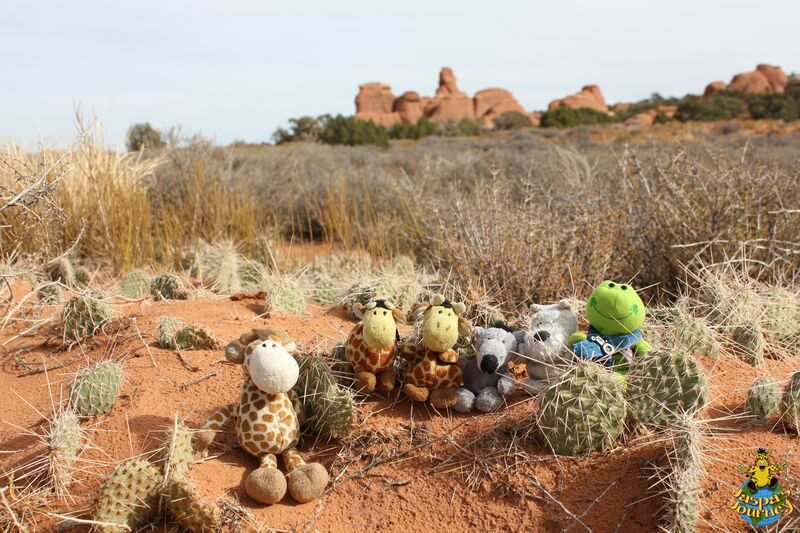 And while the High Desert may look almost totally barren, it’s full of life, often in the most surprising places. 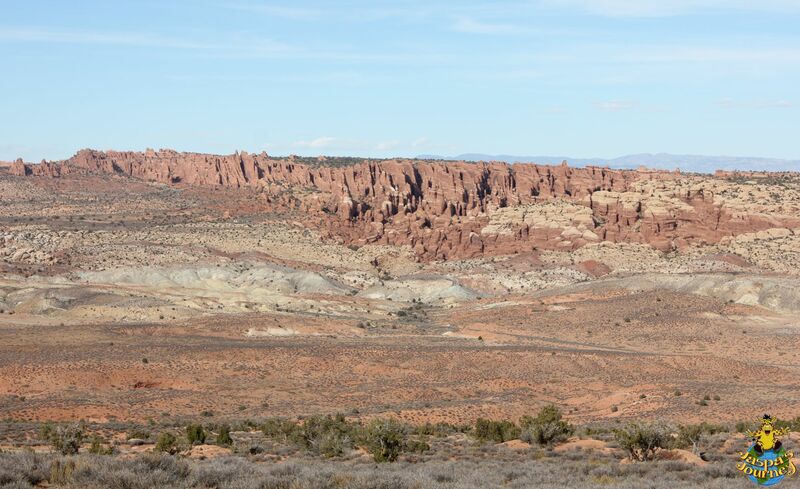 Add all that to the fact that most of the exposed rocks in this part of Utah have a distinctive red colour, which gives the whole region a warm feeling no matter what the air temperature. 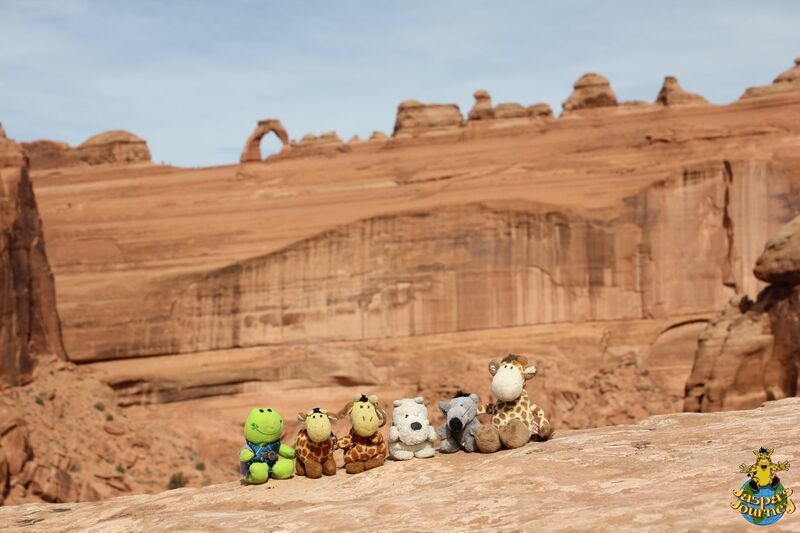 The bottom line is, now is the perfect time to visit Arches National Park! This post was inspired by Cee’s Fun Foto Challenge, which this week is Things That Are Hot and Jennifer’s One Word Photo Challenge, which is Balance, Dale’s Thursday Challenge, which is Unusual Things, and Jo’s Monday Walk, of course. For more images of our adventures in Utah, visit Rich and Sue’s Flickr Album 2012: Southwest USA revisited. 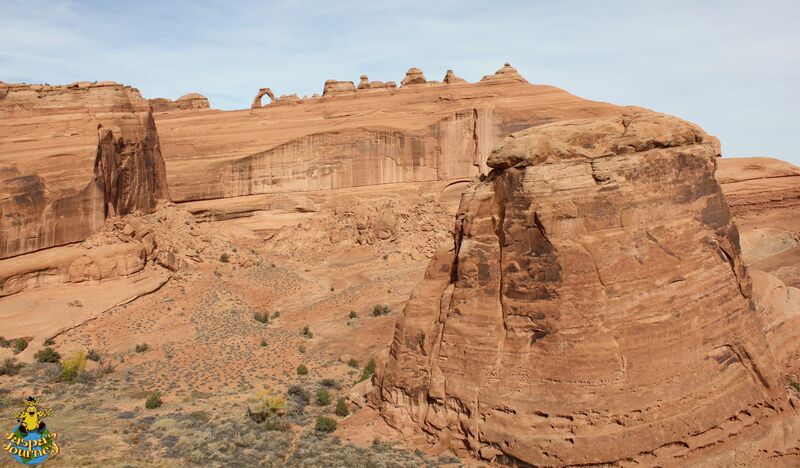 The total height of Balanced Rock is 128 feet, with the boulder on the top weighing a massive 3500 tons! 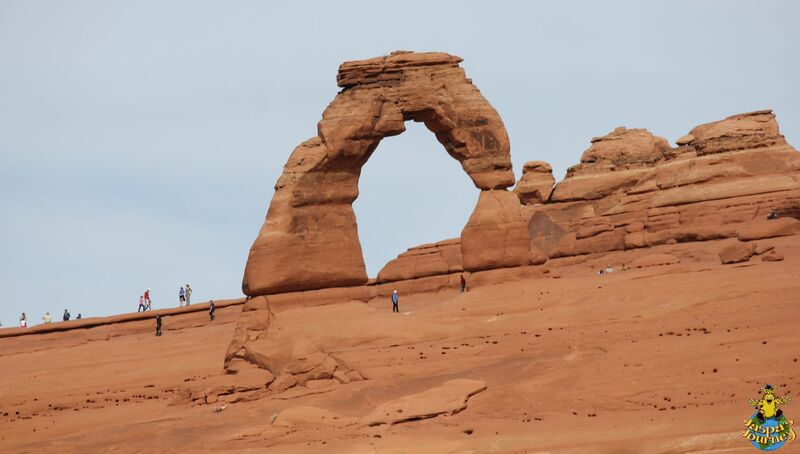 This entry was posted in Adventure, Environment, Jaspa's Journey, Photography, Travel, USA and tagged Arches National Park, Cee's Fun Foto Challenge: Things That Are Hot, desert, Jo’s Monday walk, One Word Photo Challenge: Balance, Utah. Bookmark the permalink. Wow, these are fantastic photos. I can imagine how hot it must have been. And we weren’t even there during the really hot times, Regina! Fabulous! 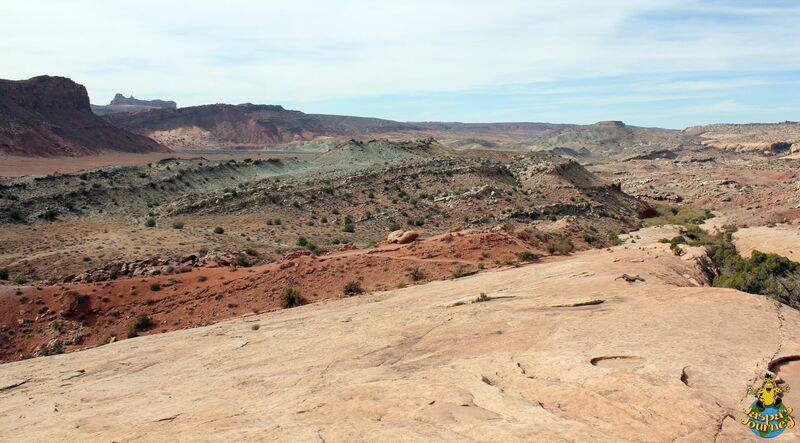 We visited S Utah in 2010: the most awesome landscapes I have seen. I have now! Don’t think I knew your blog last March, I would have remembered that. Great photos, and I recognised most of the places. Glad you enjoyed it, Anabel! Amazing!! 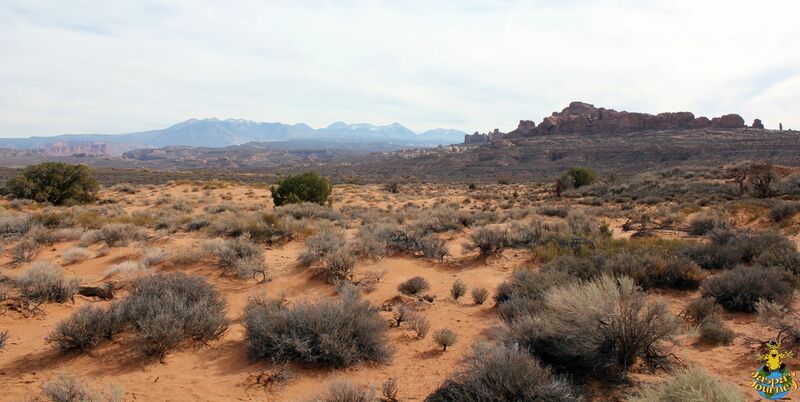 I will be going to Utah in June, but I’ve been to the desert before and 115 there is not nearly as bad as 100 in humid Florida! Beautiful photos!! Such amazing photos! 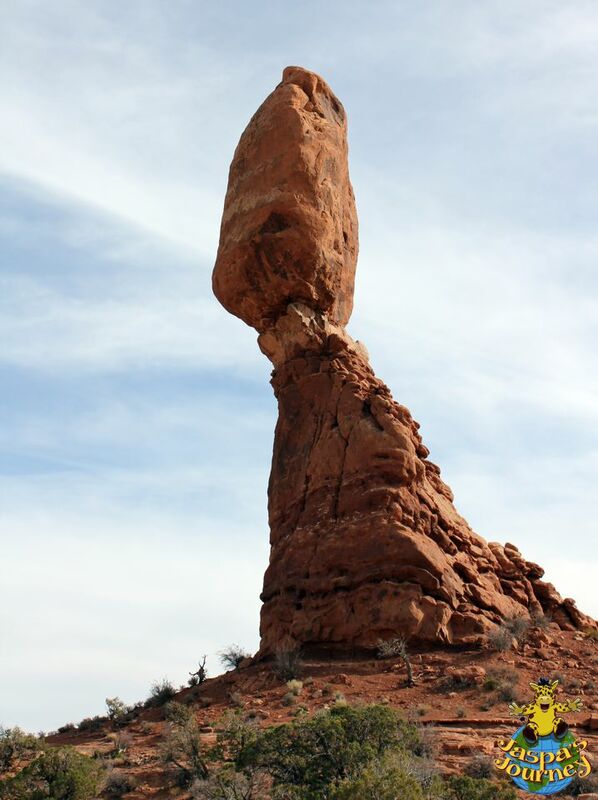 That balanced rock is unbelievable! Sadly, continued erosion means it’ll one day topple over. A bit like the hoodoos in your part of the world, Sue. It really is an amazing place, Jo. Glad to liked the tour. Hope you get there yourself one day! The world is so amazing when you stop to look at it…Love your amazing photo series.